Again the same old mommy blues? Your child acting pesky every time you try to chug him/her some healthy home cooked food. Are the feeding sessions turning into hours of fighting between you two? Don’t blame the kid for all the noise, gorging on junk is something you may have unknowingly inculcated in him. 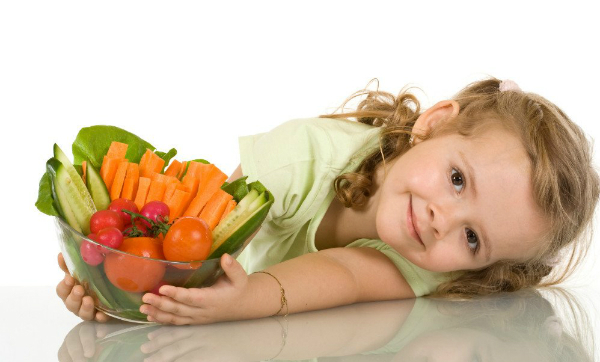 Here are 5 tips to feed your kids healthily. 1) Drill in this idea into your child that dinner means family time. This is a tradition that all families should observe. It has been proven that children, who eat meal with their closed ones encircled, get to check out what seniors or his/her elder sibling is having. It will make time to pick up well the healthier eating habits. 2) Encourage your child to eat healthy food. In order to accomplish this mission, start by not putting restrictions on certain foods. This only tends to develop disorders like anorexia and bulimia; if not now then certainly later on. Instead coax him to pick up fruits and vegetables, if not all then at least the ones he likes. Speak to him about the benefits of eating healthy, especially on the ones you would like to feed on. Engross him in talks like you will become powerful and strong; gain energy, will be able to play more, defeat your friends easily while running. These tip works well on their psychology. 3) Always have the food available when he is feeling the hunger pangs. Do not stack the fridge with junks, instead store fruits and veggies. If you make it a habit to resort to healthy choices without letting your child to gorge on street food, then he will gradually learn the act of inclusion and elimination while munching on something or having his meals. 4) Arranging an alluring platter is a must. Kids develop liking to those food that allures them instinctively and the fact of pampering taste buds comes later on. If something is not fun or colorful they take a quick aversion to it. It’s up to mommies to find more fun ways to present food. Cutting vegetables into animals’ figures or cute shapes are ways of being creative with the preparation. Why not go for a quick crash course or catch up with the television programs that are especially dedicated to mommies to add a dash of healthy vibrancy on your kids’ platter? Take a bunch of berries like blueberries, strawberries, raspberries, eggs and country ham. If you wish you can top it with cheddar. Its colors, vitamin-packed fruits, protein-rich egg – all making a yummy, healthy breakfast for your little one!